I've picked out The Vanderbeekers of 141st Street for my eight-year-old granddaughter, because I think she will love the combination of characters and the qualities that it shares with The Penderwicks and the Boxcar Children. My six-year-old granddaughter will receive the new Princess in Black, The Princess in Black and the Mysterious Playdate. My husband will get some of our crazy socks and I've also picked up Sourdough by Robin Sloan, which is a fun read. I love all the new Women's Bean Project items for gift giving! They've extended their range and repackaged everything and they make wonderful gifts. I also love our crazy Sock It To Me socks.  There are new patterns every year. It's scarves for all my adult daughters and sons in law this year, plus books, including The Last Days of Night by Graham Moore and The Lost City of the Monkey God by Douglas Preston. I'm giving my new baby granddaughter The Snowy Day by Ezra Jack Keats, along with the cute Peter stuffed toy, bath toys and some Christmas books. I'll be sending my out-of-town friends Christmas socks and books, including Homegoing by Yaa Gyasi, Another Brooklyn by Jacqueline Woodson and The Tie That Binds by Kent Haruf. My friend's adult children will be getting calendars and jigsaw puzzles and I'll be giving Women's Bean Project goodies to everyone, including biscuit mixes, soups and brownie mix, plus Women's Bean Project dog biscuits for my friends' dogs! 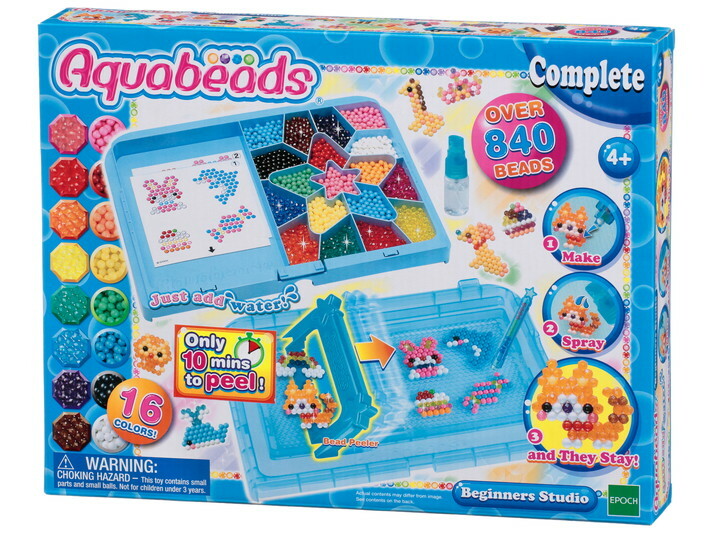 I'm giving my granddaughters Aquabeads Beginner Studio. Crafting fun with no mess and no fuss sounds good to me, and it comes endorsed by colleagues who told me their kids loved this simple craft! Everything you need is included in this beginner kit. Finding gifts for teenagers is always a challenge! My fourteen-year-old loves reading and ice skating, so she will be getting Spinning, a new graphic novel about competitive figure skating. She'll also finally get the chance to finish off the Willow Falls series by Wendy Mass, because the last one, Graceful, is now out in paperback. She may not be a tween any more, but a beloved series is always beloved! I'm going to tempt my non-reading seventeen-year-old with The Indispensable Calvin & Hobbes by Bill Watterson and the fascinating Venomous: How Earth's Deadliest Creatures Mastered Biochemistry by Christie Wilcox. He will also get Box of Rocks, a silly adult trivia game which will reveal whether all not all these years of schooling have actually made him smarter than a box of rocks! They both love our zany Sock it to Me socks, so they will find those in their stockings. I'm giving lots of books this year, including The Heart and What Happened to my doctor friends, The Newcomers by Helen Thorpe to a teacher friend, The Beautiful Mystery by Louise Penny to my stepdaughter, The Undoing Project by Michael Lewis to my husband and my cousin will be getting The Purloining of Prince Oleomargarine by Mark Twain, Philip Stead and Erin Stead. This unique and beautifully illustrated book has been completed from notes in the Mark Twain archive at the University of California. I only have one gift I know I'm getting so far. I'm really behind! I'm getting the Soggy Doggy game for my five- and three-year-old niece and nephew. It's simple and fun, and you might get a little shower if the dog shakes his wet fur! for my granddaughter. We also have menorahs and, of course, lots of Chanukah Books. I Know an Old Lady Who Swallowed a Dreidel is one of my all-time favorites. I'm giving lots of games to my family this year. Nibbled is a fun game about colors for the almost-four-year-old. Roller Coaster Challenge includes construction and logic for the seven-year-old. Cat Crimes is a mystery-solving game featuring clues and super-cute cats for the ten-year-old. For the older family members, I'm getting Box of Rocks, which is a silly adult trivia game that is making us laugh in the store--are you smarter than a box of rocks?! And I'm also getting Pictopia: Harry Potter Edition for the whole family to play. And, of course, I'm also giving books, including three copies of the beautiful new picture book by Peter Sis, Robinson, and three copies of Her Right Foot by Dave Eggers for different families with kids aged four to ten. Toddlers are getting I Love Music, our magical first sound book, and Find Momo is a great family gift. For adult friends and family, I'm giving Girl Waits with Gun by Amy Stewart, Another Brooklyn by Jacqueline Woodson and Manhattan Beach by Jennifer Egan, which I'm also giving in my book club book exchange. I am giving Leonardo da Vinci by Walter Issacson to my sister-law, who is an artist and has just returned from a visit to Italy. This is non-fiction, but reads like a novel. My brother will be getting John LeCarre's A Legacy of Spies and John Grisham's The Rooster Bar, because they are authors my mother liked to give him. The Resurrection of Joan Ashby by Cherise Wolas is going to my thirty-something niece, as recommended by our Macmillan publisher's rep, Jeff Cope, who said it was his favorite adult fiction for the season. My sister has requested Chris Matthews' Bobby Kennedy: A Raging Spirit and Manhattan Beach by Jennifer Eagan. I'll be giving my daughter one of our cashmere scarves, in orange, because orange (go figure!) is her favorite color. As for children, my favorite book this year for boys 9-12 is The Whiz Mob and The Grenadine Kid by Colin Meloy, and for middle school girls I love Insignificant Events in the Life of a Cactus by Dusti Bowling, which, for me is the Wonder of 2017. And my favorite author for all middle and high schoolers at the moment is Jason Reynolds. Love, love, love this author! I'm a huge admirer of Why We Sleep: Unlocking The Power of Sleep and Dreams by Matthew Walker, so five friends and relatives will be receiving a copy this year! I'm also giving Exit West by Moshin Hamid to a thoughtful person concerned with the world today and Jane Gardam's Faith Fox, the latest of her books to be published in America, to a friend who, like me, thinks there is no better writer than Gardam. I'm giving my son the beautiful, readable new Walter Isaacson book, Leonardo da Vinci and I'm giving Joseph Kanon's The Defectors to my brother who likes historic fiction combined with a spy story. And I'm giving After the Fall by Dan Santat to my three-year-old twin friends and sending three of our John Fielder calendars to European friends. One of the books I'll be purchasing for Xmas is The Blue Apron Cookbook ($39.99), for my single working daughter who has little time and not a lot of interest in cooking for herself. However, this cookbook has beautiful pictures showing instructions as well as finished products.The recipes are not complicated, nor do they take a lot of time to prepare. Another cookbook that I love is: Simple: The Easiest Cookbook In The World ($19.99) where no recipe has more than four steps or six ingredients. Great pictures and very simple instructions. Great for a beginner cook or college student. There's also a brand new edition: Simple Healthy: The Easiest Light Cookbook in the World, by the same author, Jean-François Mallet, which shares the same simplicity and speed with delicious healthy recipes. I'm going to be shopping from our sale section! As well as books, there are games, toys and clothes, many of which are in perfect condition. There are some real gems in there! All books and gifts were in stock at the time of writing and we are always happy to order for you. If you would like more suggestions, follow us on Facebook or Instagram (@thebookiesbookstore) --we'll be putting up a new holiday book suggestion every day! And remember, we gift wrap for free! If you want to find out about the new games for this year, we'll be running game demonstrations all morning on Saturday 2nd and Saturday 9th of December! At other times, look out for our game table displaying demo copies of some of our most popular games throughout December. Ask us to demonstrate the games, or play along yourselves! And in our next edition we'll have a full round up of the new games for this year! Samantha is reaching out for someone to love her. Could it be you? We're running a prize draw to find out! Pop into the store and complete an entry form for a chance to take Samantha home! Hurry, the last day to enter is Friday December 15th! Are you buying calendars these holidays? Save by getting them at The Bookies! We're offering you 25% discount on all our 2017 calendars, starting right now! We will be open on Christmas Eve from 10 a.m. until 3 p.m. so you can make any last-minute purchases! We will be closed on Christmas Day and December 26th, and also on New Year's Day. The store was full of energy on Small Business Saturday! Eight wonderful authors joined us; we had a coloring table, a kid's yoga session and plenty of fun. A special thank you to Brenda Faatz, who, as well as being an author, turned out to have the magical skill of making balloon animals, which were the hit of the day!